If you are in the market for a used vehicle, don't take a chance with buying something from a stranger. Instead, visit Melloy Dodge to find the perfect pre-owned vehicle that has been inspected. We have several models including Dodge, RAM and Honda. If you are looking for a truck with luxury features, test drive the 2015 RAM 1500 Laramie. This model features a garage door transmitter, speed control, an auto-dimming rearview mirror, dual zone air conditioning for the front, a memory seat and pedals, audio memory, an emergency communication system, remote keyless entry and a heated steering wheel. The front seats are also heated. The Laramie is perfect for taking road trips since it's so comfortable, but it's also a workhorse. Features include a trailer hitch receiver and trailer sway control, heated door mirrors to make it easy to back up a trailer on frosty mornings, brake assist, a security system and ignition disable. When you need a smaller vehicle for commuting or to take a comfortable road trip, try the 2016 Honda Civic Coupe EX-T. This model features air conditioning, illuminated entry, a telescoping steering wheel, front dual-zone air conditioning, automatic temperature control and a power moonroof. Entertainment features include a 7-inch LCD screen, Bluetooth, SiriusXM radio and audio controls that are mounted on the steering wheel. The comfortable front seats are heated and the rear seat is a split folding bench seat. 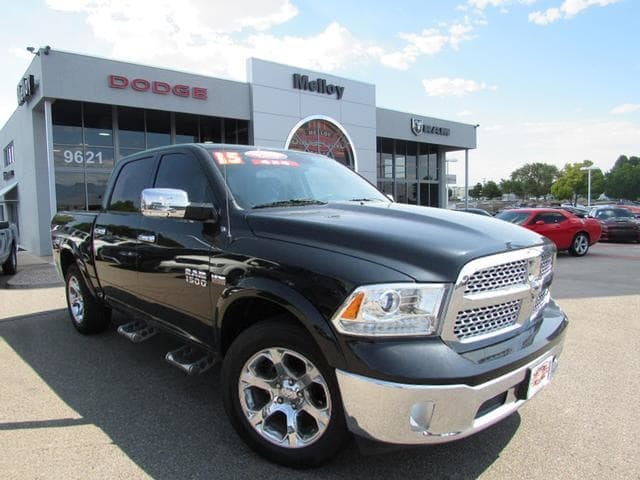 To learn more about either of these featured used vehicles or any of our other used vehicles, stop by Melloy Dodge to take a test drive.